In the spring of 2008, the CARE Club worked with a senior student to create the first fashion show, which showcased the work of student designers who created their own garments which were displayed on student and teacher models. 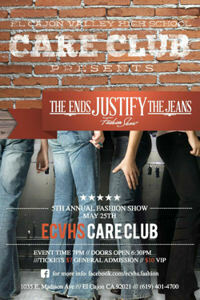 Since then, the CARE Club has supported this show each year with different designers, models, themes, and purposes. In traditional fashion shows, the last model is considered the “lady in red” and is the grand finale. This year student designers will create a garment that is made entirely out of recycled jeans/denim for their “lady in jeans”. 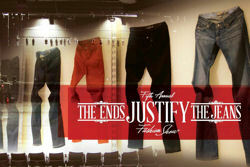 “The end” which will “justify” “the jeans” is a design that is made entirely out of jeans/denim and needs to be based on the student’s view of a traditional dress of a specific culture. In addition, each designer will be asked a question about the “women’s issues” that are currently occurring within that culture, thereby informing the public through dress and public speaking about women’s issues around the world. This year CARE Club will be providing a charitable donation to the YWCA of San Diego, and collecting cell phones to donate to the charity Laura’s House of Orange County. Both of these organizations identify and support women and their families after some form of domestic abuse has occurred. This show will include music performance and dancing acts by the students of ECVHS, and representatives from Laura’s House and the YWCA of San Diego who will be judging the designers showcase and discussing the purpose of their organizations to the public. Ticket prices are $7 for general admission and $10 VIP which can be purchased at the door. 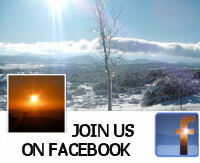 For more information please visit: http://www.facebook.com/ecvhs.fashion .